All For Dogs Pet Services LLC clients enjoy an easy to use online schedule professionally developed by Precise Petcare. As a client you can view your schedule, request services, update your info, view your billing history and more! Fill out the form below to create your Scheduling Home Page account. Client Walk Contract Contract and Legal Considerations For the purposes of this document, the terms Client, Owner, Pet Owner, and Customer are synonymous with the person contracting services for one or more domestic animals. Quick Follow-Up: Client agrees to discuss any concerns with All For Dogs Pet Services, LLC within 24 hours of return after service. We wish to ensure an overly satisfactory result and may not know to adjust future visits unless you let us know. Non Family Pets: The care provider cannot service a home with “Visiting” pets or animals that do not belong to the resident of the service site without separate sets of agreement forms, including a Legal Considerations Agreement, accepted and signed by each rightful owner(s). Full Payment Due at Time of Schedules Appointment(s): Deposit in full is due at time of appointment. Appointments are not active until payment in full is received by All For Dogs Pet Services, LLC or special arrangements are agreed upon by both parties in writing. Return Check Fee: There is a return check charge is $35.00. The bank charges us for each returned check. Credit Card: I hereby authorize All For Dogs Pet Services, LLC to charge my credit card or account the full amount at the time of ordered service. Late Payment Penalty: The unpaid amount of any invoice not paid in full within 30 days of receipt, a finance charge of 1% per month, payable from the date of the invoice to the date payment is received. COLLECTION CHARGES: Client understands and agrees that in the event it is necessary for All For Dogs Pet Services, LLC to initiate any collection proceedings as a result of the Client(s) failure or inability to tender payments called for hereunder, Client shall be liable for all court costs, attorneys' fees, service fees, and other expenses incurred by All For Dogs Pet Services, LLC. Furthermore, Client hereby agrees and acknowledges that they shall be liable for all attorney's fees, and costs incurred by All For Dogs Pet Services, LLC, to defend any action commenced by or on behalf of the Client against All For Dogs Pet Services, LLC, with said fee is payable despite any finding of liability on behalf of All For Dogs Pet Services, LLC Scheduling: Clients should schedule themselves through the client portal for accuracy sake. Clients should always receive an email confirmation of services, but can also log in to see if the appointments were approved. The system prevents last minute scheduling by the client. Last minute is 20 hours before the visit is requested. The system will give you an error message. In that case, client should call or email the office with specific time frame, length of visit and any feeding or other special instructions. The Office will get the notification and work on getting the request assigned. If a sitter is assigned the client is subject to a $5 Same Day Booking or Last Minute fee. Holiday Surcharge: a $5 Holiday surcharge is applied to EACH visit scheduled on one of the major holidays. Walk Times: At times it is necessary to give your pet a shorter visit than contracted for. In this case we will alert you to this and charge you the lower price for the visit time that corresponds with the actual time that was spent with your dog. If at any time, it is determined that the pet sitter did not perform their visit for the contracted time by the client, the client must alert us within two weeks of the visit and upon determination that the sitter did indeed short the visit we will reduce the client's charges and/or refund the client down to the service level that best corresponds with the time spent at your home. Legal Release: In consideration of the services rendered to the Client by All For Dogs Pet Services, LLC, the Client waives any and all claims, actions or demands of any nature, foreseen or unforeseen, that he/she may have now, or in the future, against All For Dogs Pet Services, LLC relating to the care, control, health, and/or safety of the Client's pet arising during pick-up, transport, drop-off, and stay at the facilities or in the location which the Client's pet is being cared for unless out of willful neglect of an employee of All For Dogs Pet Services, LLC. Liability: All pets are different and though All For Dogs Pet Services, LLC hires and trains exceptional and knowledgeable staff, pets still behave on their own terms. The Client agrees to assume all liabilities and responsibilities, financial or otherwise, for the behavior and health of the Client's pet. The Client agrees to hold All For Dogs Pet Service, LLC harmless from any claims, actions, or demands against All For Dogs Pet Services, LLC arising during the pick-up, transport, drop-off, and care with All For Dogs Pet Services, LLC unless out of willful neglect of an employee of All For Dogs Pet Services, LLC. Emergency Care Authorization: The Client authorizes All For Dogs Pet Services, LLC to do whatever they deem necessary for the safety, health, and well being of the Client's pet while under the care of All For Dogs Pet Services, LLC All For Dogs Pet Services, LLC is authorized to seek any emergency veterinarian assistance needed during visits, at the cost of the client, from any veterinarian as chosen by the sitter. We will try to go to your vet, if applicable. However, the company is not responsible for the health/well being of the animal. Equipment: Though All For Dogs Pet Services, LLC may use their own equipment, Pet Owner is responsible for supplying the necessary, safe equipment/supplies needed for care of their pet(s), including but not limited to a sturdy, well-fit harness (halter, collar, etc…) for walks or in case of emergencies, firmly affixed vaccination tags, a lead rope or leash, pooper-scoopers, litter boxes, food, cleaning supplies, medicines, pet food, cat litter, and any other items necessary. Pet Owner authorizes any purchases necessary for the satisfactory performance of duties, if necessary. Pet Owner agrees to be responsible for the payment of such items, as well as service fees for obtaining items, and will reimburse All For Dogs Pet Services, LLC within 14 days for all purchases made. Code Red: It is suggested that arrangements be made with someone to evacuate your pets in case of a disaster or weather related event/crisis/”Code Red.” All For Dogs Pet Services, LLC will definitely do our best to try to see to your pets safety/care should such events occur, but cannot guarantee it. Dangerous Animals: All For Dogs Pet Services, LLC may use their discretion to stop and end service at any time that a pet poses a danger to the safety or health of itself, other pets, other people, or the care taker. If concerns prevent the Pet Sitter from continuing for a pet, the Owner authorizes the pet to be placed in a kennel, or previously arranged locale if possible. All subsequent charges, including but not limited to transportation, kenneling, tranquilizing, treating, accessing, and liability, are to be the responsibility of the Owner. If applicable, we may try to seek different care within our company before moving onto other options. Health: Each pet must be updated with his/her shots as directed by a physician. Media Capture: All For Dogs Pet Services from time to time captures a picture or video of your pet and uses it in website, advertising, or social media. The client agrees to the use of this picture or video without compensation unless the client sends All For Dogs an email stating that they do not want All For Dogs to use any media from their pet. In any case, at any time if the client requests to remove these pictures or videos from their advertising or media All For Dogs will within a reasonable time honor that request. Client Media: Any media taken (through home surveillance, etc.) of All For Dogs while doing a duty of All For Dogs Pet Services, LLC cannot be broadcast, published, or shared in any way with others than persons listed on this form without written consent of All For Dogs Pet Services, LLC (All For Dogs Pet Services, LLC is okay with security cameras. We just might not want images of us playing, wrestling, or grooming your pets broadcast without our permission) CANCELLATIONS : • Vacation Cancellations AND Cancellation of 2 or more Same day visits: 50% charge if cancelled anytime up to 48 hours. After 48 hours, full charge will be applied if made less than 48 hours before the day of service or over a Holiday, payment in full is due and no refunds are given. Holidays include News Years Eve, New Years Day, Easter, Memorial Day, Independence Day, Labor Day, Columbus Day, Thanksgiving, Christmas Eve and Christmas Day. • Cancellations may be made up to 9 am on day of service (6 am when the appointment is in the Morning time frame of 8-11 am). After that, full price of the service will be charged. Determination for charge will be on a case by case basis. 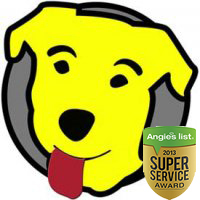 Our Staff: All For Dogs Pet Services, LLC is extremely particular about hiring the highest caliber of professionals to take care of your family. On rare occasion, the staff member assigned may not be able to make the scheduled visit. If this occurs they will either try to reschedule or another staff member will fill in. All staff members are familiarized with your dogs specific needs through our online database, so be sure to keep it updated, and by the absent walker. If by chance a walker cannot continue walking your dog, a qualified staff member will take their place until we can hire a permanent staff member. In this situation, we will attempt to contact you before the scheduled visit. Liability: All For Dogs Pet Services, LLC takes no liability for any damage or losses to your home or pet resulting from another party who accesses your home while under our care. At the time that service is booked, Owner will notify pet sitter of everyone who has been granted access to the home during the service period. All other individuals that visit the home will leave a log of their visit. (If no log is left, the care taker may contact authorities and report accordingly.) Access & Key: The client is required to give All For Dogs Pet Services, LLC access to the home through a 1) Garage Code, 2) Combo lock box or 3) Another acceptable method of entering the home that is approved by All For Dogs Pet Services, LLC. Client authorizes, that in the event that we cannot enter the home to take care of the pet and the pet is in imminent danger and after reasonable attempts to contact the owner or the backup contact, All For Dogs Pet Services, LLC. has the right at owners expense to hire a third party to help enter the home to take care of the pet. Owner will be responsible for all medical expenses and damages resulting from an injury to Pet sitter, or other persons, by the pet. Owner agrees to indemnify, hold harmless, and defend Pet sitter, in the event of a claim by any person injured by the pet(s). This agreement is valid from the date signed, and replaces any prior Legal Considerations agreements. Client agrees to any future All For Dogs Pet Services, LLC term changes relayed verbally to the client, mailed or emailed in writing to the client, or posted on our website found in Terms and Conditions. This contract can be assigned by All For Dogs Pet Services, LLC in the event of an asset sale or a change in name or corporate structure. Non Solicitation: The client is prohibited from contacting and/or hiring any All For Dogs contract walkers or employees for a period of two years after the walker has been notified of their termination or terminated contract with All For Dogs Pet Services, LLC.. Relaxation of Terms: No relaxation, indulgence, waiver or release by any party of any of the rights in terms of this Contract on one occasion shall prevent the subsequent enforcement of such rights and shall not be deemed to be a waiver of any subsequent breach of any of the terms. Severability: If any parts of this Contract shall be held to be invalid, illegal, unenforceable or in conflict with the law of any jurisdiction, the validity, legality and enforceability of the remaining provisions shall not in any way be affected or impaired thereby. By selecting the "I Accept" button, you are signing this Agreement electronically. You agree your electronic signature is the legal equivalent of your manual signature on this Agreement. By selecting "I Accept" you consent to be legally bound by this Agreement's terms and conditions. You also agree that no certification authority or other third party verification is necessary to validate your E-Signature and that the lack of such certification or third party verification will not in any way affect the enforceability of your E-Signature or any resulting contract between you and All For Dogs Pet Sitting, LLC.